My band convinced me to gig with my old Yamaha combo organ I have instead of buying the new Roland VR09 I had my eye on. Saves me $900 at the expense of my back but I needed something more versatile to get electric piano and synth sounds. Needed something small, and everything small either has microkeys, is a monophonic synth, or is just a midi controller. Except this thing. Got it on craigslist for $175. Even came with a homemade makeshift hard case. First impressions are great, this is just what I needed. Back 10 years ago when I bought a microkorg, my friends all scoffed at the Micron for some reason but having owned both I can't understand why. Now I just need to figure out the effects and DI part of this rig. The interface is not the best I'll admit, in fact it's pretty terrible actually. The microkorg has easily accessible memory banks, and on this thing I still haven't figured out other than how to scroll through the presets (which actually doesn't take that long if you write down the numbers you need), but there's gotta be a better way. All I really need is a few of the patches I use in a row next to each other for a set, and it looks like there is a "favorites" list so I should be ok once I spend some time with it. I like the sound of it better, everyone uses the MK. Better lcd screen makes it easier to navigate. Obviously you lose the vocoder mic and push button presets, but the pros outweigh the cons for me. I was looking at the manual of that once, and couldn't find any way to turn off the touch sensitivity. Is it true that you can't? That would drive me up the wall. Hmmm....just messing with it for a bit I found a way to CHANGE the sensitivity from low to high, but no I can't find a way to remove it completely. This was my first proper hardware synth, and I loved it. 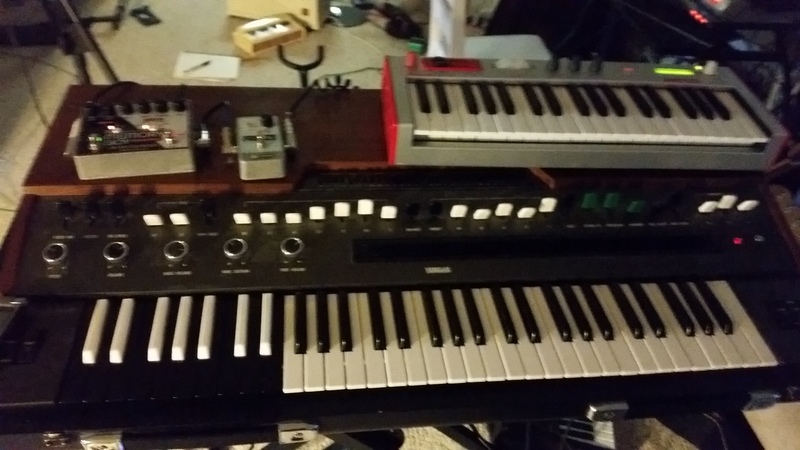 I only ended up selling it to help fund my Moog Little Phatty, as I mostly underutilized the Micron for Moogy monosynth sounds. After reading it again, it's a rather interesting snapshot of where things were almost seven years ago with affordable synth hardware. More of a softsynth guy nowadays but my only remaining hardware synth is an Akai Miniak (which supposedly is just an altered layout of this) and will probably never get rid of it while it still works, too useful (most portable complete keys rig, and my only vocoder). I actually use a converter to make it my controller pretty often too because it looks sweet next to my APC40. I only wish it had USB.